I don’t know about you, but I have yet to meet someone who finds it incredibly difficult to fall in love with puppies. I mean, who does not melt when he or she sees an entire bunch of puppies? Assuming you are about to make your first trip to the Far East, and would like to brush up on your chopsticks skills, perhaps you can pick up the £24.99 Puppy Pile Up. 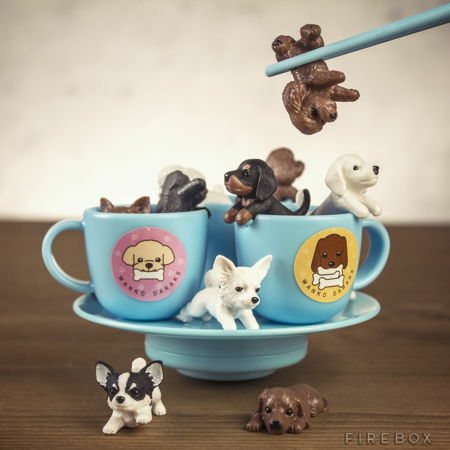 The Puppy Pile Up would be an exercise where you will make an attempt to balance miniature mongrels on top of a tower of teacups, allowing you to hone your chopstick skills. Apart from that, you can also arrange the teacups in different ways so that it will be a whole lot more challenging. Needless to say, the more puppies that pile up, so too, will the pressure. It is like a game of Jenga, just with a whole lot more cuteness injected into it.